Here is a little more about Ava and Song of a Moonbug who will be running at the BOTB in August. Where did you and Song of a Moonbug qualify? We qualified at Quiet Corners Ranch in Campbell, NY. This was our first time running in this arena. It was a fundraiser show for breast cancer called “Help Save the Boobies”. They even had a Dash for Cash race where you could wear your bikini top! Tell us a little about your horse: The horse I qualified on is a 14 year old Quarter Horse. She is sorrel and 15.2 hands tall. Her barn name is “Macy”. We bought her about a year and a half ago. Everyone has a favorite place to run, tell us what yours is: My favorite arena is at Everwind Ranch in Union City, PA. They have a huge outdoor pen! Macy seems to love a larger pattern. Each year we all love to attend a favorite show, what is yours? My favorite show is Racing for Memories held at Everwind Ranch. It benefits those with Alzheimer’s. This is especially important to me because my Great Grandpa passed away from this disease last February. 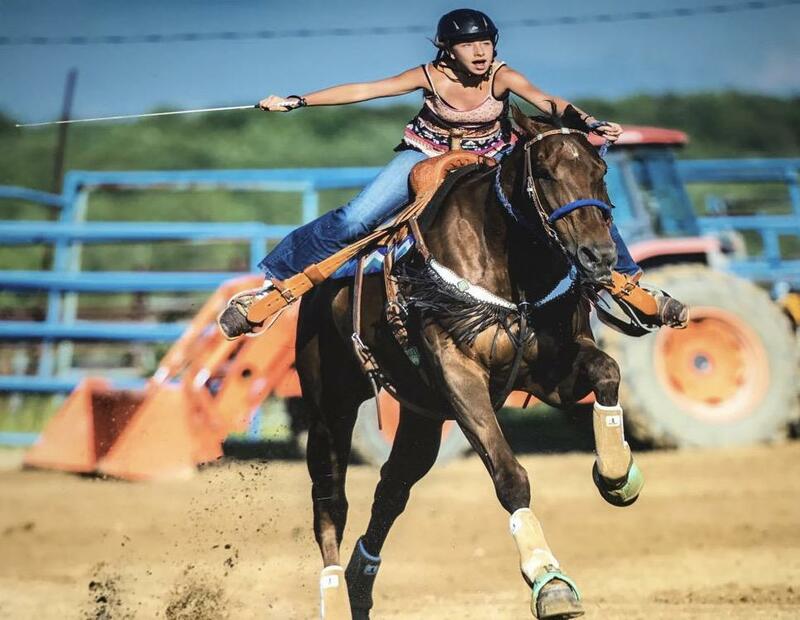 Give us a little more insight about you and your horse: Fallon Taylor inspires me because she runs in the NFR and someday I hope to make it there! Next Nicole Yost from Rices Landing, Pa is Red Hot headed to the BOTB!